Preparing students for today’s competitive work environment takes more than the traditional approach to teaching. 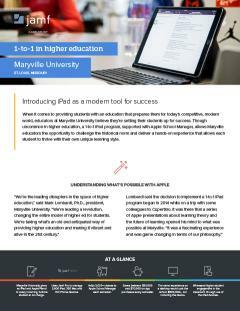 That’s why Maryville University implemented a 1-to-1 iPad program, supported with Apple School Manager. The school’s educators use Apple products to deliver hands-on experiences that allow each student to thrive using their own unique learning style. Maryville University President, Mark Lombardi, Ph.D., said he first thought about implementing a 1-to-1 iPad program while watching a series of Apple presentations about learning theory and the future of learning. “It was a fascinating experience. It was really a game changer in terms of our philosophy,” he said. A short six weeks later, the school decided to move forward with a program. Lombardi leaned on a number of faculty and staff who were already using technology in their classrooms to spearhead the project. Katherine Kline, Ph.D, assistant professor of Rehabilitation Counseling at Maryville was thrilled to be a part of the implementation. Prior to the iPad program, she said it was difficult to get students to work together in groups. “Now I can use specific apps on the device to get students across the classroom to collaborate, to get to know each other, to get to talk about content in ways that we were a little limited in before,” she said. In addition to time savings, Bell also said since implementing Apple School Manager, and thanks to the Apple EDU discount, the school is saving more than $50,000 per semester on apps alone. Based only on software, she said replicating the experience students have on an iPad to a desktop would cost the school up to $590,000 annually. 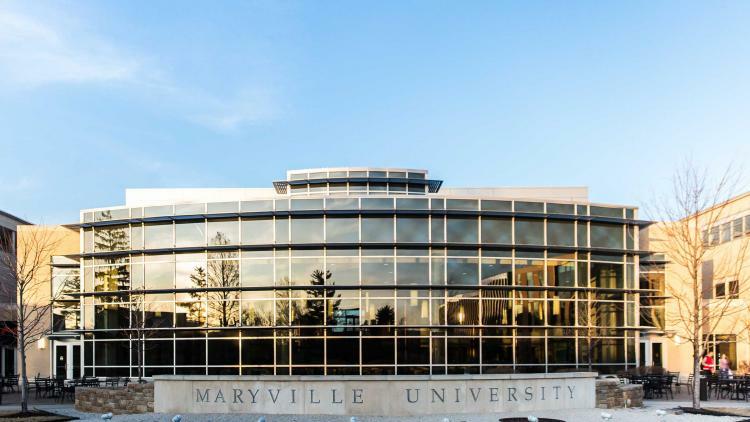 To learn more about Maryville University and how they’re preparing their students for today’s modern world with Apple technology, read the full case study.